Greenhouse effect, the existing threat for Earth has been already dealt in another topic. Yet we have discussed about it and its causes and effects; it is still necessary to know about the greenhouse gases. Here we shall learn what the greenhouse gases are, how it is emitted by human activity and also how to reduce such emissions. The term “greenhouse effect’, ‘global warming’, ‘climate change’, as we know it now, has been used since about mid-1950s. Before this, greenhouse effect referred to the warming effect of certain gases in the atmosphere. Today it is commonly known that 30% of radiation from the sun reaches the earth surface and the resultant infrared radiation (heat) is trapped in our atmosphere, thereby causing our atmospheric temperature to rise. The greenhouse effect is a normal requirement for regulating the earth’s temperature and in turn creates the air and water currents that cause different climatic conditions on earth. Thus Greenhouse gases are responsible for this effect. The greenhouse gases are Carbon dioxide (CO2) , Methane (CH4), Nitrous oxide(N2O), Some industrial gases such as hydro fluorocarbons (HFCs), Per fluorocarbons (PFCs), Sulphur hexafluoride (SF6)and Nitrogen trifluoride (NF3). Water vapour and Ozone are also greenhouse gases. How strongly do they impact the atmosphere: Global warming Potential (GWP) is calculated based on how long a gas remains in the atmosphere and how much radiation it absorbs. GWP is also a comparative measure of the efficacy of different gases with the efficacy of CO2. Let us look at each one in detail. CO2 constitutes about 82.2 % of all the greenhouse gases. Though it is found naturally in the air as a result of natural emissions, its levels have increased over the last 150 years due to human activity. Being a part of the earth’s carbon cycle, carbon dioxide gets transferred between air, soil and water while being produced and absorbed by living beings. But this happens up to a limit, and the excess CO2 can remain the atmosphere for thousands of years. Industrial processes: chemical processes for eg the production of cement, processing of metals like iron and steel, and production of chemicals. Increasing population and economic growth, increased demand for power and travel, changing energy prices, new technologies, seasonal temperature over the last 50 yrs has increased the CO2 emission levels drastically. In natural conditions CO2 is naturally processed and exchanged between land water and air. This accomplished by the earth’s green cover of forests, uncultivated lands and by ocean surfaces. Methane constitutes about 10% of the Greenhouse gases. It is naturally produced in wetlands and marshes. Other sources are oceans, volcanoes, forest fires and termites. Leakages from natural gas and petroleum systems: it is a primary component of natural gas. Methane is released during production, processing, transport and storage of natural gas. Since natural gas is also associated with petroleum the same happens during its processing. Livestock farming: A large amount of methane is produced during the natural digestive process of domesticated livestock. It is also produced when manure is stored for long periods. Landfills: in urban areas, methane is released from wastes found in landfills and wastewater treatment plants. GWP (100yrs): 25. This means Methane is 25 times more potent than CO2 in trapping heat. Lifetime in atmosphere: 12 yrs. Nitrous oxide levels are about 5% of all greenhouse gases in the atmosphere. It is naturally occurring gas. Being part of the earth’s nitrogen cycle, it is produced and removed by natural processes and chemical reactions. Its levels are increased because of human activity. GPW: 298, ie it is 298 times more efficient than CO2 in trapping the infrared heat. Lifetime in atmosphere: 114 yrs. Most of Nitrous oxide in air has increased with the use of synthetic nitrogen based fertiliser in farms. Nitrous oxide is also released during the decomposition of manure and urine of livestock. Amounts of N2O is released during the combustion of various fuels varies depending upon the fuel particularly in vehicles. Also found as a by-product during the production of nylon and other synthetic products. Upgrading technology in chemical processes in industry to reduce N20 by products. As the name suggests industrial or fluorinated gases are completely man made and not naturally occurring at all. These are the most potent and long lasting of all greenhouse gases. They are grouped as Hydrofluorocarbons (HFCs), perfluorocarbons(PFCs), Sulphur hexafluorides(SF6), and nitrogen trifluoride(NF3). GWP: ranges from 7390 (PFCs) – 22800(SF6). Small quantities of these gases are sufficient to increase the greenhouse effect multi-fold. HFCs are commonly used as refrigerants, aerosol propellants, fire retardants etc. mainly found in air conditioning systems of buildings and vehicles. They were processed as a substitute for chlorofluorocarbons and hydro chlorofluorocarbons which were found to be ozone depleting substances and hence phased out or banned in several countries. The most potent industrial gas SF6 is also used in electrical transmission equipment. Since 1990 there has been increase in the release of HFCs because they are used as a replacement for CFCs. PFCs and SF6 emission has reduced slightly because of measures taken to reduce their use in industries. New products known as Hydro fluoroolefins (HFOs) are now used as substitutes for HFCs. These have a lower atmospheric lifetimes and GWP. Improving technology and reducing the need for use of fluorinated gases in industry. Finding suitable replacements for these gases in the electricity transmission and distribution industry. Preventing leakages in air-conditioning equipment in vehicles by designing better components. Government regulations and standards set to phase out or reduce the use of these gases. Water vapour is the most abundant greenhouse gas. 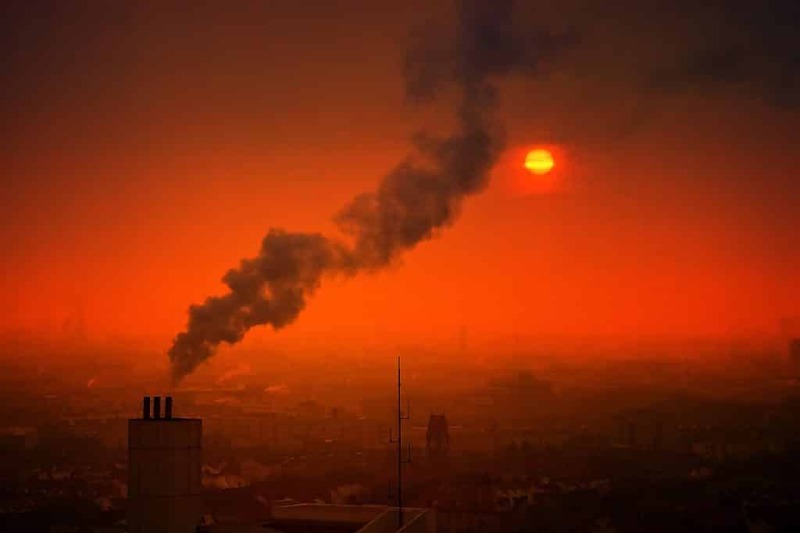 But as scientists have concluded that human activity adds very little water vapour to the air, it is not considered as seriously as other gases. But NASA is studying the effects of water vapour concentrations formed by indirect human behaviour. Ozone, a greenhouse gas, is naturally found as a layer in the stratosphere. Its purpose is to protect the earth from harmful ultraviolet radiation that comes from the sun. Ozone depleting substances like CFCs and other industrial gases are banned or controlled to protect the Ozone layer. At the same time there is a slow increase of ozone closer to the earth known as ground level ozone. This is not considered as adding greatly to the greenhouse effect, but is certainly harmful to human health and adversely affects vegetation and sensitive ecosystems. Though the greenhouse effect is natural, too much of a good thing is not. The global temperature is on the rise. Climate changes all over the earth, floods, hurricanes, rise in sea levels and many more natural disasters are attributed to a loss of balance in the earth’s temperature. This is where the need to control greenhouse gas emissions arises. Many of the greenhouse gases except for the industrial ones can be cleaned up by the Earth naturally. The earth’s green cover and its natural ecosystems have an important role to play in this clean up. Our role would be to find a balance in producing and using many so called necessary products and services – To decide the difference between necessity and want. Individuals, communities and nations have taken the initiatives to lessen the burden. The key is not to give up in our endeavors for there is a very long way to go yet.